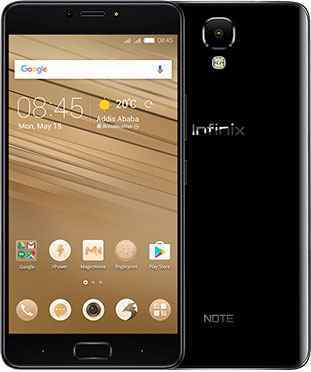 Infinix Note 4 Pro Gsmarena Specs and Price: Among the smartphones launched in July 2017 by Infinix Mobility is the Infinix Note 4 Pro. Its specifications show that it is an upgraded variant of the newly released Note 4. Like the base model of the Note 4, this variant is a midrange device in the Note series and a successor to the Note 3. It is usually a trend for Infinix to release a slightly improved model of their latest smartphone. We've seen the same for the Hot Note with its Hot Note Pro, and Hot 4 with its Hot 4 Pro. But what are the differences between Infinix Note 4 and Note 4 Pro? Although most features of both devices are the same, there are still notable differences between them. The RAM size in the Note 4 Pro has been increased, hence it is capable of delivering better multitasking levels. Mobile critics will most likely hammer on a smartphone's RAM size consequently, an increment of the Note 4 Pro's RAM is a step in the right direction. With the full review of Infinix Note 4 Pro below, one can easily spot out other specs that would make the Note 4 Pro the more desirable of the duo. The Note 4 Pro features the same 5.7 inch screen of the Note 4. The screen has a resolution of 1080 x 1920 pixels and a pixel density of 386ppi. The screen size is smaller than that of the Note 3 at 6.0 inch and the pixel density has been increased. Better colour reproduction than the Note 3's screen because you get the same resolution but higher pixel density on a smaller screen. The Note 4 pro has a metallic body, a dimension of 159.6 x 78.8 x 8.3mm and weight of 198g. Its build material gives it durability and its weight makes it slightly heavier than the Note 3, but just as slim. Colour options of the Note 4 Pro include Champagne Gold, Sandstone Black, Prussian Blue, and Lilac Gray. Other than the colours available for this smartphone which differs from those of the Note 4, its build is entirely the same. For an enhanced level of security from the use of PINs, passwords and patterns, this smartphone also features a fingerprint sensor that is located at the device's home button. The Infinix Note 4 Pro is powered by an octa-core MediaTek MT6753 processor with a processing speed of 1.3GHZ. Since all 8 cores of the processor handle tasks at the same time, we can expect an acceptable level of performance from the Pro and one that is done speedily. The Note 4 Pro has 3GB of RAM and 32GB inbuilt storage instead of the 2GB and 16GB of the Note 4 for its RAM and Inbuilt storage respectively. This variant holds a promise of better multitasking without lags encountered even when playing graphic intensive games. The 16GB storage of the Note 4 is rather on the low side and would definitely need an external storage with time. But the Note 4 Pro featuring twice the storage capacity of its base model means users can go by if they choose to without an external storage. If they still decide to use an external storage, they can make do of the Note 4 Pro's expansion slot which supports a microSD card of even 128GB. The smartphone also runs on XOS 2.2 ontop the latest Android operating system, 7.0 Nougat. XOS is Gionee's customized user interface called XOS Chameleon, and the version 2.2 is the latest. Coupled with the Android OS, this smartphone can give a user friendly interface that is easy to use, manipulate and navigate. Split screen viewing capability to work with multiple apps at the same time. Doze on the go power saving features. New notifications manager that groups similar notifications together. The Note 4 Pro features an Xpen that brings ease in typing. You no longer have to worry about operating your device especially when your fingers are wet as the Xpen takes away the need to. Think of it as your conventional biros that allow you write notes, memos and generally everything that involves word processing. One can even paint using the smart Xpen of the Note 4 Pro. The Note 4 Pro features a 13MP rear camera with dual LED flash and an 8MP front camera. Is there any difference between the Infinix Note 4 and Note 4 Pro's camera? The same camera resolution on both cameras of the Note 4 have been maintained on its Pro variant. That being the case, users should expect little or no difference between images captured on either devices. But then, when compared with the Note 3, major improvements have been made. Like the Note 4, this model has been optimized with a higher resolution on its front camera than that of the Note 3. The Infinix Note 4 Pro battery capacity is 4500mAh. This capacity is the same as that of the Note 3, but is a slight increment over the 4300mAh battery of the Note 4. Of the trio, the Note 4 Pro is expected to offer more battery life. The Note 4 with a battery capacity less than that of the Note 3 can still provide a longer battery life than the latter. For this reason, the Note 4 Pro with the same battery capacity of its predecessor and higher than its base model is expected to even exceed the battery life of the Note 4. The Note 4 is powered by Android Nougat that has better battery saving features than the Android Marshmallow OS of its predecessor. It also has a smaller screen that consumes less power because there are less pixels to consume the battery energy. On full charge, you get two days use on moderate usage, and about a day's battery life on heavy usage. Charging efficiency has also been improved on the Note 4 Pro. According to Infinix mobility, its 5V5A low-voltage DC charging technology increases the charging efficiency to 96%, instead of the 88% in the Note 3. A 20 second charge can provide a 40 minute work on the smartphone with the Xpen, and a 5 minute charge can support upto 4 hours and 10 minutes talk time. The Note 4 pro is a dual SIM smartphone that supports the use of two Micro SIMs. Other conncetivity options of this device include Bluetooth 4.2, micro USB, dual-band Wi-Fi, and 4G LTE. Its sensors include Ambient Light sensor, G-sensor, Hall sensor, Proximity sensor and compass sensor. Where can i buy Infinix Note 4 Pro in Nigeria? The Infinix Note 4 Pro is not yet available in Nigeria as well as countries like Kenya and Ghana. The smartphone is expected to be available in online retail stores before the end of July. Accordingly, you can purchase the Note 4 Pro from reputable online stores in your country when it is available. How much is Infinix Note 4 Pro in Nigeria? The Infinix Note 4 Pro price in Nigeria, Kenya and Ghana starts from 66,000 Naira, KSh 22,000 and 1045 GH₵ respectively.